Summary: With a DVD Ripper at hand, you can convert your DVDs to video formats that are supported by various devices. Here we show you how to rip a DVD on your Windows or Mac. Surprisingly, not many people-even the advanced computer users- understand how to rip a DVD on Windows, Mac, computer or to MP4. DVD ripping is one of the most common activities performed by many software programs. We know that DVDs contain files and folders that are specifically meant to be played by DVD players and not computers or Mac books. Most DVD folders are in formats of Video_TS and Audio_TS. If you open the folder Video_TS you see that the extensions of the files in it are .vob, .ifo and .bup. These files aren't relevant for computers. So, if you don’t have a DVD player installed in your computer, your computer will tell you it can’t open those files. The good news is that there is a trick. You can let your computer play these files after DVD ripping to Video. Ripping DVDs is a good thing especially while attempting to backup important content. You may also rip DVDs for watching them on your iPod, PC, or iPhone among other gadgets. Before you start to follow the steps, we will discuss ripping DVDs on Mac or a computer to MP4 format. The first thing you need to do is to download DVD ripping software. Of course, there is a plethora of DVD ripping software available all over the internet. Reading the customer reviews before you download and install any of them is mandatory for your DVD ripping experience. I would recommend DVDFab DVD Ripper as the best DVD Ripper for ripping DVD to video. You get a free YouTube MP4 downloader when you install DVDFab on your Windows. Ripping DVD to video with DVDFab DVD Ripper is very easy and procedural. You need to follow simple guiding steps. How to Rip a DVD on Windows? If you are unaware of how to rip DVD on Windows 10 or how to rip DVD to MP4, the first step is to download and install DVDFab DVD Ripper on your computer. The second step is adding files. Run DVDFab 10, go to Ripper module and insert the DVD disc you want to rip, and then the DVD movie will be loaded automatically. You may also convert the DVD to any formats without using the disc. Instead, use ISO files or the DVD Folder. The third step is to select the format for exporting the ripped DVD video and choosing the destination folder. All you need to do is to click the profile button located below where the DVD files are displayed. Then select the format of your choice at the drop-down list. Just below "Profile" is "Output", a place where you can browse your computer for a better destination folder. This is where DVDFab will save your converted videos. After selecting the output file format and the destination folder of your choice, it is now time to rip your DVD to video. Just press the start button; very simple indeed. The process should take you a few minutes perhaps to half an hour depending on the quality and the length of videos you are converting. How to Rip DVD on Mac? Indeed, you now know how to rip DVD to the computer using the operating system for Windows. Mac is powered by a different operating system Mac OS X. This OS is built by UNIX and engineered to take full advantage of what the hardware is capable of. Ripping DVDs and backing up movies on Mac OS X is gradually becoming a growing need among people. The first thing you need to do is to have the DVDFab DVD Ripper for Mac. But just like Windows, the first step is to download the DVD ripper software for Mac. Then you need to load your DVD files to the program, choose the destination and output video format. As simple as that, start copying your DVD movie on Mac. Mac and Clone DVD software can perfectly rip and convert DVDs for playback on iPhone 4/4S/5, iPod, iPad/4/Mini, Apple TV, Android, PSP, PS3, Zune, Other mobile phones, etc. Certainly, DVD ripping is not limited to just converting your DVD format videos to formats readable by Windows or Mac OS. You may also do other things with your DVD ripper software. DVDFab allows you to do editing, merging and cropping of DVD videos. If you wish to edit your DVD video, you must do it before you rip. Just after you have finished loading your DVD files, you can now use your DVD ripper to edit, combine and crop them. Most DVD rippers have these options on the display tray. You can access by right-clicking the “Edit” button on the menu bar. · Cropping: You can zoom your videos in or out or change its aspect ratio. You also have an option of custom cropping. Zoom in or out, change the aspect ratio and create a custom crop. · Effect: Effects usually include things like brightness, contrast, saturation, emboss and many more. The DVD ripper will allow you to adjust these settings as per your requirements. You can add other film effects. · Watermarking: Watermarking is about personalization of videos by either importing images, adding texts or graphics. · Trimming: You can trim down your video as per your requirements. This way, you get to enjoy only the desirable part of the video. · Add Subtitles: Yes, you can add subtitles to the video as well, which might make it more accessible for YouTubers. These functions are available in Windows and Mac, too. 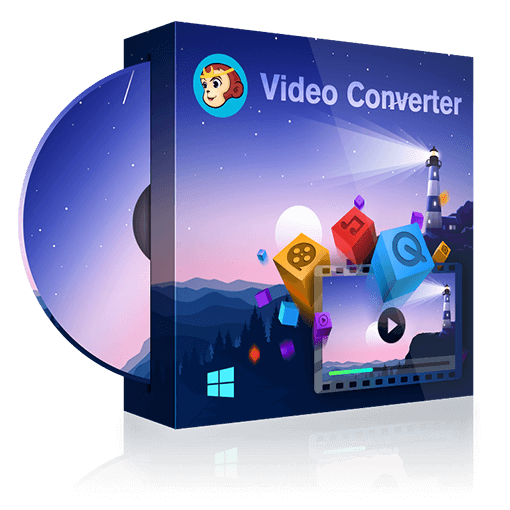 Enjoy converting any videos to the formats you would like. You could also burn videos to DVD format or convert them to Blue-rays. Stop worrying and start ripping your DVDs for your favorite movies. Ripping will liberate your DVD, and now you can have kind of fun you want to create via videos. You may also wish to create clips of the video scenes you like the most and merge them to make the highlight real; edit and upload them with others on websites like YouTube. DVDFab HD Decrypter is a free DVD copy tool from DVDFab, while DVDFab DVD Copy is a more advanced tool. Here we will compare two of them and show you their differences. Here are fast and full-featured DVD converters we selected to help you convert DVD to video easily and quickly.